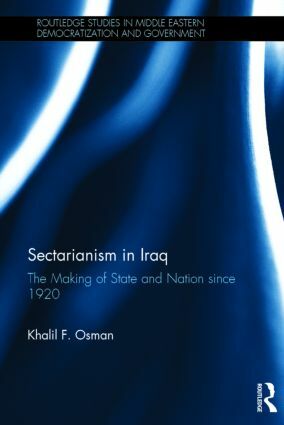 This book links sectarianism in Iraq to the failure of the modern nation-state to resolve tensions between sectarian identities and concepts of unified statehood and uniform citizenry. After a theoretical excursus that recasts the notion of primordial identity as a socially constructed reality, the author sets out to explain the persistence of sectarian affiliations in Iraq since its creation following the dismemberment of the Ottoman Empire. Despite the adoption of homogenizing state policies, the uneven sectarian composition of the ruling elites nurtured feelings of political exclusion among marginalized sectarian groups, the Shicites before 2003 and the Sunnis in the post-2003 period. The book then examines how communal discourses in the educational curriculum provoked masked forms of resistance that sharpened sectarian consciousness. Tracing how the anti-Persian streak in the nation-state’s Pan-Arab ideology, which camouflaged anti-Shicism, undermined Iraq’s national integration project, Sectarianism in Iraq delves into the country’s slide from a totalizing Pan-Arab ideology in the pre-2003 period toward the atomistic impulse of the federalist debate in the post-2003 period. Employing extensive fieldwork, this book sheds light on the dynamics of political life in post-Saddam Iraq and is essential reading for Iraqi and Middle East specialists, as well as those interested in understanding the current heightening of sectarian Sunni-Shicite tensions in the Middle East. Khalil Osman is a Senior Political Affairs Officer at the UN. He has taught politics at Indiana University and reported extensively from several Middle Eastern countries, including Iraq. Dr Osman’s reporting experience includes work for the BBC, Radio Free Europe/Radio Liberty and Radio Canada International. This series examines new ways of understanding democratization and government in the Middle East. The varied and uneven processes of change, occurring in the Middle Eastern region, can no longer be read and interpreted solely through the prism of Euro-American transitology. Seeking to frame critical parameters in light of these new horizons, this series instigates reinterpretations of democracy and propagates formerly ‘subaltern,’ narratives of democratization. Reinvigorating discussion on how Arab and Middle Eastern peoples and societies seek good government, Routledge Studies in Middle Eastern Democratization and Government provides tests and contests of old and new assumptions.